Three north-eastern states - Meghalaya, Nagaland and Tripura - are gearing up for assembly elections at the end of February 2018. North East elections results will be out on March 3. North East Elections 2018: Meghalaya, Tripura, Nagaland Election Result will be out on March 3. Three north-eastern states - Meghalaya, Nagaland and Tripura - are gearing up for polls at the end of February 2018. Voter-verified paper audit trail or VVPATs are being used for the first time in Meghalaya for the Assembly Elections 2018 where the Congress party is in power for the last eight years. CPI(M) is the ruling government in Tripura. In Nagaland, the BJP would contest the polls in alliance with the newly-formed National Democratic Progressive Party (NDPP) led by former chief minister Neiphiu Rio. Currently, Naga People's Front (NPF) is the ruling party in Nagaland. 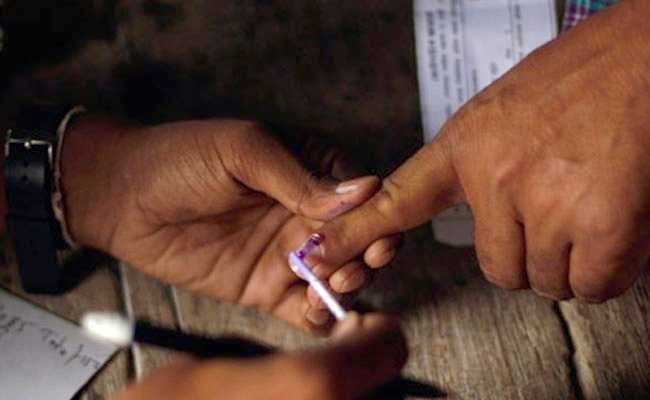 The terms of Meghalaya, Nagaland and Tripura assemblies end on March 6, March 13 and March 14, respectively, and the entire election process is expected to get over by the end of next month in March. What was the voter-turnout in Meghalaya election 2018? The voter-turnout in Meghalaya was 75 per cent. In 2013 Meghalaya Assembly elections, the voter turnout was 87 per cent. What was the voter-turnout in Tripura election 2018? The voter-turnout in Tripura was 92 per cent, setting a new record in the electoral history of India. What was the voter-turnout in Nagaland election 2018? The voter-turnout in Nagaland was 75 per cent.The 2013 Assembly elections turnout in Nagaland was 90.57 per cent. Which are the prominent parties in Tripura election 2018? Four prominent parties are fighting the poll battle in Tripura - Communist Party of India (Marxist) (CPM), Indian National Congress (INC), Bhartiya Janta Party (BJP) and All India Trinamool Congress (AITC). Which are the prominent parties in Meghalaya election 2018? Four prominent parties are fighting the poll battle in Meghalaya - Indian National Congress (INC), Bharatiya Janata Party (BJP), National People's Party (NPP) and United Democratic Party (UDP). Which are the prominent parties in Nagaland election 2018? Four prominent parties are fighting the poll battle in Nagaland - Nagaland People's Front (NPF), Nationalist Democratic Progressive Party (NDPP), Bhartiya Janta Party (BJP) and Indian National Congress (INC). How many parliamentary constituencies are there in Meghalaya, Tripura and Nagaland? While Meghalaya and Tripura have two constituencies each, Nagaland has one parliamentary constituency. Who are the current chief ministers in poll-bound Nagaland, Meghalaya and Tripura? Current Nagaland Chief Minister is TR Zeliang. In Tripura, the chief minister is Manik Sarkar and in Meghalaya, the chief minister is Mukul Sangma. How many nominations are filed for Nagaland polls? A total of 253candidates have filed their nomination papers for the February 27 assembly elections to the Nagaland assembly. How many nominations are filed for Meghalaya polls? A total of 443 candidates have filed their nomination papers for the February 27 assembly elections to the Meghalaya assembly. How many nominations are filed for Tripura polls? A total of 320 candidates have filed their nomination papers for the February 18 assembly elections to the Tripura assembly. What is the date for Meghalaya Assembly Elections 2018? Election to the 60-member assembly in Meghalaya is scheduled to be held on February 27. What is the result date for Meghalaya Assembly Elections 2018? The counting of votes in Meghalaya will be held on March 3, 2018. What is the date for Tripura Assembly Elections 2018? The state will go to polls in a single phase. Tripura Assembly Elections will be held on February 18, 2018. What is the result date for Tripura Assembly Elections 2018? The counting of votes in Tripura will be held on March 3, 2018. What is the date for Nagaland Assembly Elections 2018? Nagaland will go to polls in a single phase. Nagaland Assembly Elections will be held on February 27, 2018. What is the result date for Nagaland Assembly Elections 2018? The counting of votes in Nagaland will be held on March 3, 2018.